The awesome space explorers featured so far have had a definite engineering theme to their work – probably because the author started out as an engineer! But, of course, space exploration involves much more than the design, construction, and control of the spacecraft themselves. Scientists decide which experiments will be conducted in the first place, and why, then conceptualize those experiments (in terms of the scientific method!) and interpret the data when it comes back from space. The latter segment of a mission can involve thousands of people around the world! Who looks at data coming back from space, and what do they study? Read on to find out. 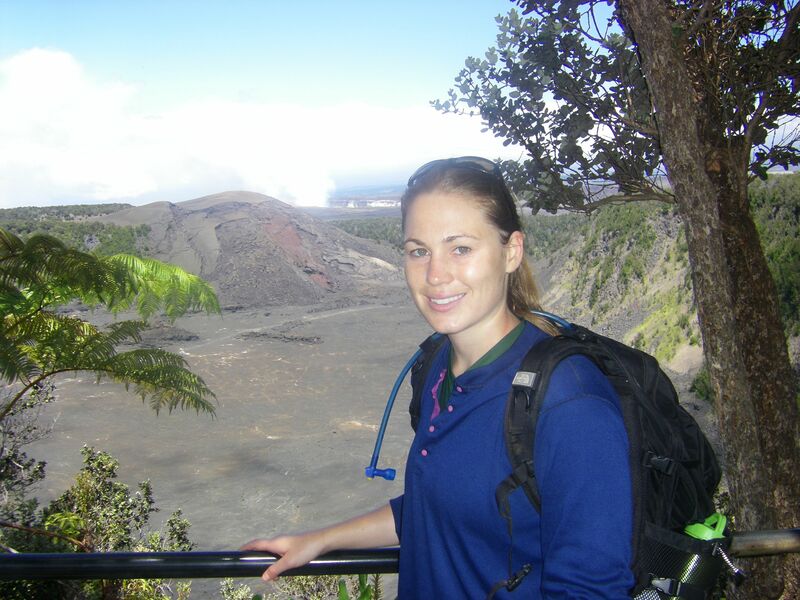 Dr. Jenny Whitten takes a break from science in front of a volcano in Hawai’i. What is your job title? How would you translate that title into everyday language? I am a postdoctoral fellow at the Smithsonian Institution, working in the Center for Earth and Planetary Studies in the National Air and Space Museum. My job involves researching different planetary bodies in our Solar System, from characterizing the composition of lava on the Moon to determining the age of the oldest surfaces on Mercury. I have recently started a research project to understand the radar properties of the surface of Venus, including some of the oldest and most deformed surfaces on that planet. Is there a specific background, or training, required for your job? In order to get my job as a postdoctoral fellow I had to earn a PhD. Mine was from a Geological Sciences Department, but planetary scientists come from a variety of different backgrounds, including physics, mathematics, chemistry, and geology. Graduate school provided me the proper training to do research in this field, including experience working with remote planetary datasets, doing analog field work (like studying volcanoes in Hawai’i), and learning how to plan planetary missions. What sorts of projects do you work on in a given day? Of all of the projects you’ve worked on, which is your favorite? I am usually working on more than one project at any given time. The various projects that I have, and am continuing to, work on involve different types of data sets (from topography, to visible images, to surface mineralogical information) and different planets. GeoFact: Mineralogy is the study of the minerals that make up rocks. If rocks are like books, minerals are the words! My PhD dissertation work focused on ancient volcanism on the Moon and Mercury, two airless planetary bodies with heavily cratered surfaces. In order to complete my dissertation work I would do any and all of these activities: download a data set and process it from an online data center, count the number of craters on a planetary surface (which can tell us how old a surface is), map a geologic deposit, or use computer models to determine the minerals on the surface of the Moon. I would also spend time reading scientific journal articles about a particular topic or looking at published geologic maps. The possibilities are endless. Now, with my new project on Venus, I am learning about radar data and what it can tell you about the properties of a planetary surface, like surface roughness and material density or composition. By the end of my post-doctorate work I will have completed a research project on each of the terrestrial planets! My favorite project was probably the very first project assigned to me in graduate school. I started graduate school not knowing a lot about planetary science and my advisor assigned me a project looking at the lunar Orientale basin using Moon Mineralogy Mapper data. 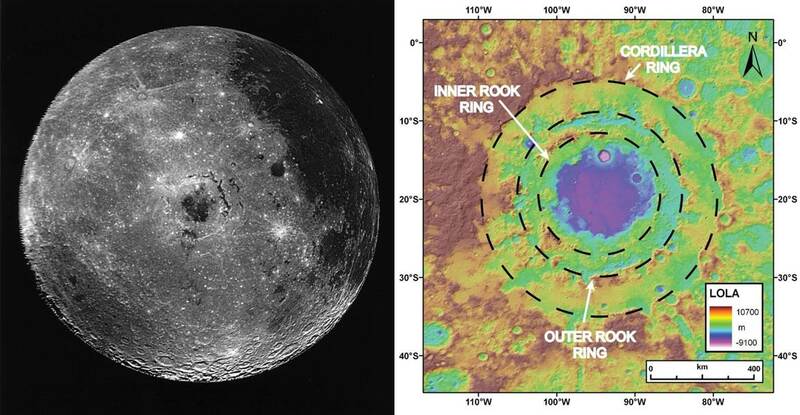 The Orientale basin is a spectacular impact structure because it has not been completely filled with lava, like most of the other impact basins on the Moon, allowing you to see the basin rings. Having a project in such a geologically interesting location was one aspect that excited me about the project. The other was working with the Moon Mineralogy Mapper data set. 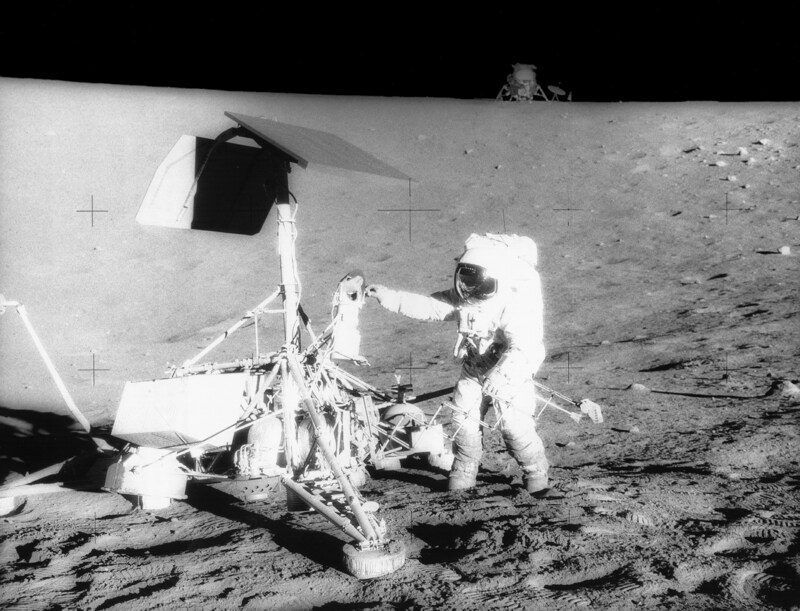 This NASA instrument measured the reflected light off of the surface of the Moon and was able to provide information about the mineralogy of the surface deposits. This first project also provided me the opportunity to participate on an active science mission. Over the next several years I was involved in helping to calibrate Moon Mineralogy Mapper data and also used the data for research. 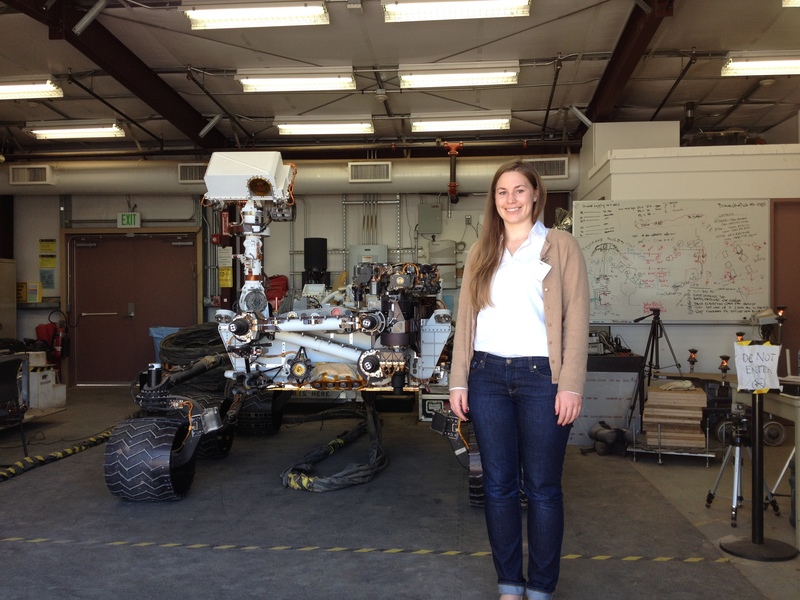 Participating on an active mission was an outstanding opportunity to have as a graduate student, and it showed me what lies ahead if I wished to continue to pursue planetary geology as a career. The Orientale Impact Basin on the Moon, color coded by elevation data gathered by the LOLA instrument on NASA’s Lunar Reconnaissance Orbiter. The three rings formed when an object the size of Rhode Island smashed into the Moon! What is the biggest challenge you’ve faced in your career so far? How did you overcome it? I am an early career scientist, so I have not had any great challenges to overcome outside of graduate school, but in the biggest challenge that I have faced thus far would have to be writing my dissertation. The most important part about writing a dissertation is actually getting everything written down, and writing was something that I struggled to do throughout graduate school. Doing research was always the fun part–exploring a data set time and figuring out the best way to address a scientific question always excited me. Writing always took more work. In order to continuously write for almost 4 months I had to figure out a system that kept me motivated. Eventually I found that an accountability group worked the best for me, that, and rewarding myself when I completed a task or goal I set for myself, such as completing the introduction to one of my chapters. When did you decide to pursue this career? Was there a specific moment, event, or person who inspired you? I decided to pursue planetary geology during my last year as an undergraduate at William and Mary. When I started college I was “scienced-out”. I had just graduated from a science-focused high school program where I had to take at least 7 science classes over the course of 4 years. So in college I decided to pursue other interests because I could not take any more math or science. However, by my second year I had stumbled into geology, one of the sciences that I had not been exposed to as a high schooler. It captured my attention immediately and I was hooked. Then, a few years later I was sitting in a geomorphology class and my professor put up an image of a mass wasting event. He asked the class to describe the processes that we observed in the image. Then he asked, “What planet are you looking at?” That shocked me a little bit. We had all assumed it was a black and white picture of a landslide on Earth. Turns out we were looking at Mars (what?!). The geologic feature looked almost exactly the same on Earth and Mars! It never occurred to me that other planets in our Solar System were experiencing the same processes as we do on Earth. This one example from class revealed that I could study geology (a new passion of mine) and the terrestrial, or rocky, planets (a passion of mine leftover from high school). My last year of undergrad I took a planetary geology class which solidified my belief that this was a topic I wanted to pursue in graduate school (and beyond!). What do you think has been the most important event or mission in space exploration in the last 50 years? The Apollo 11 mission that landed on the Moon. Not only did that manned mission inspire people to pursue science and engineering careers, but it paved the way for the other landed lunar missions. All combined, the Apollo mission brought back rock and soil samples that taught us many things about the geologic history and formation of the Earth-Moon system. For instance, the rocks collected at the Apollo landing sites were dated using isotopes; a method (using impact crater counting – mentioned earlier!) to determine surface ages on Mars, Mercury, and the icy satellites was developed from this age information. The number of people inspired by the Apollo missions is equally important and lead to a rapid increase in the number of planets studied, each with their own unique engineering and scientific challenges. The Apollo missions to the Moon showed us that we can land people on other planetary bodies and has inspired us to try and get people to other planetary bodies, like Mars or an asteroid. What do you predict will be the biggest accomplishment in space exploration in the next 50 years? Hands down, landing a human on another planet. Humankind has landed on the Moon, but that was over 40 years ago and on our closest celestial neighbor. Landing people on another planet has many more complications than landing on the Moon. There are more medical, physiological, physical, engineering, and scientific hurdles to overcome when we travel further from Earth. People will have to spend several years traveling in space in order to reach (and return home from) another planet. Communications will be delayed because the planets are much further away compared to our own Moon. It would really be a remarkable feat to land humans on another planet and I hope we accomplish this sooner rather than later. The success of the Rosetta mission, coming so close on the heels of the failures experienced by Orbital Sciences and Virgin Galactic, has rekindled the debate over whether human or robotic exploration is most effective. Having worked with both, what would you say are the merits of each? The drawbacks? Do you think that one or the other is more “efficient”? The question about whether humans or robots are more effective at exploring a planetary surface is intimately related to the environment and location of that planetary surface. For manned missions NASA takes many precautions and gathers as much about that body as possible in order to fly safe missions. A good example of this is the Surveyor missions, sent to the Moon before the landed Apollo missions to measure the properties of the lunar regolith (dirt). When the astronauts landed on the Moon we had a good idea of the surface properties. Another advantage to the Moon is its proximity to Earth. It is far more cost effective to send a human to the Moon compared to Mars (even though we know a lot about the surface of the planet from orbital and rover missions). Landers/ rovers are able to withstand harsher environmental conditions compared to humans, things such as radiation, and there much less is at risk when sending them to planetary surfaces. Things get tricky when we consider a planetary surface that has never been visited by landers/ rovers or humans, such as a comet. It is a little frustrating that after more than a decade of travel, the Philae lander bounced into a shadow, instead of landing in a sunlit area. If Philae were a human it would be able to right itself easily and quickly, and continue on with its mission. Reacting and synthesizing information quickly is an advantage of human exploration. Robots can only do what people have programmed them to do, so if something expected comes up the rover may not have the necessary tool (instrument or software) or mobility to make a measurement, but a human would be able to improvise in that kind of situation. I think both methods of exploration are necessary to continue moving forward and understanding better the planetary bodies in our Solar System. If you could go to any one (but only one!) of the sites you’ve studied, which would you choose and why? If I was able to go into space I would choose the Moon. It has a special place in my heart because it was the planetary body that ushered me into the field of planetary science with my first graduate research project studying Orientale basin. 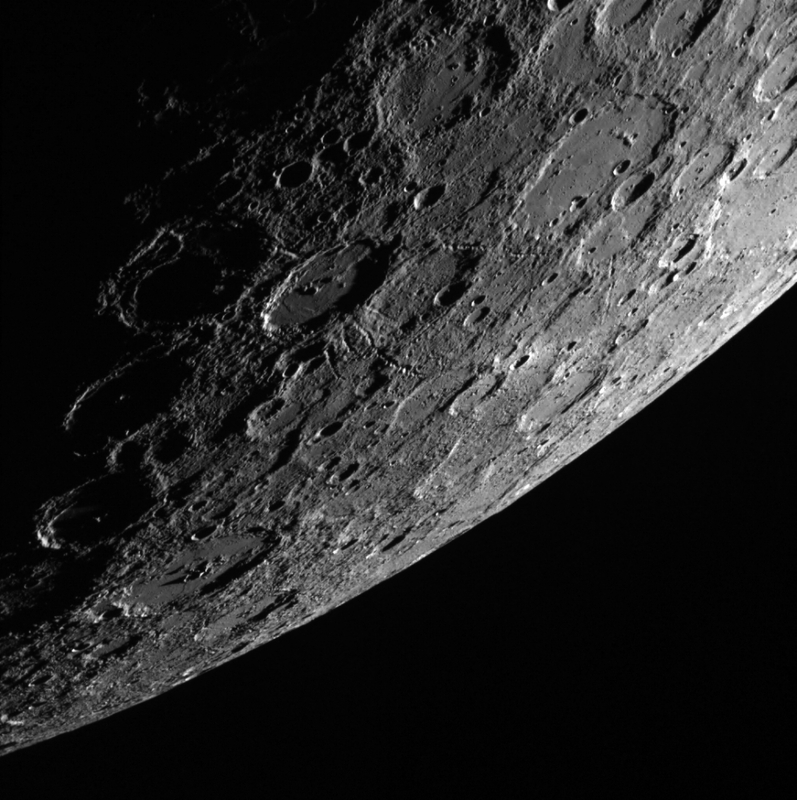 Of all the areas I studied on the Moon I think I would have to land in Orientale because of all the science I could do (and it would be a breathtaking landscape, being in the most well-preserved impact basin on the Moon). In Orientale I could sample outcrops from the different basin rings which would provide information about the crustal structure and also the timing of the impact event. There is also a large pyroclastic deposit in the southern portion of the basin (it looks like a giant dark ‘o’), several sinuous rilles (channels carved by lava flowing over the surface), and many different basalt flows. There are still many outstanding questions about volcanism and impact basin formation on the Moon and samples from Orientale would greatly improve our understanding of these processes. Next Why Explore Icy Worlds?